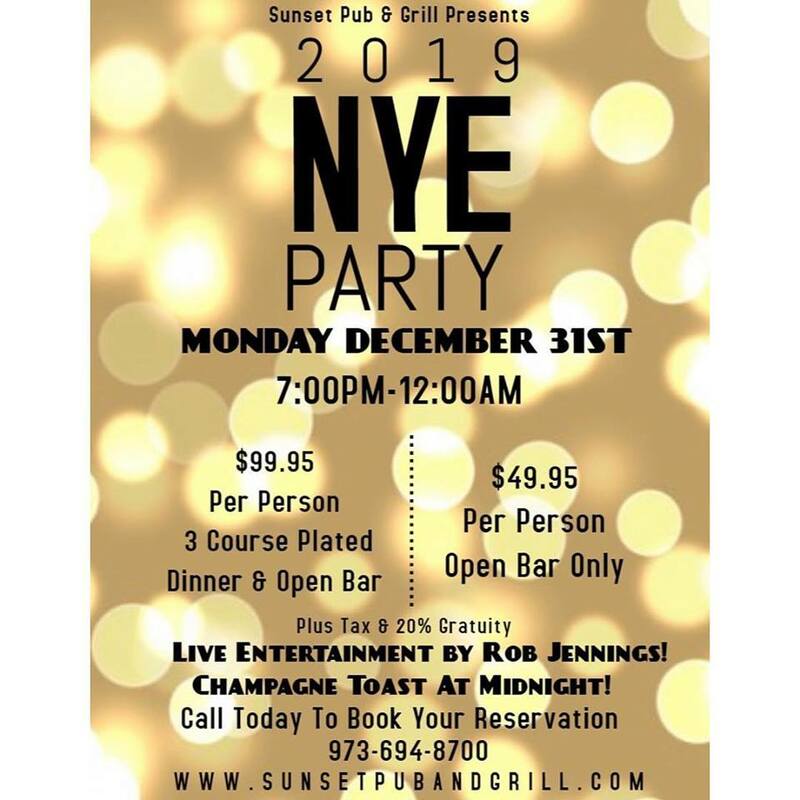 Join us for our rockin’ New Year Eve Party to ring in 2019 the right way! 2 Awesome packages available, 3 Course Dinner & Open Bar Package is $99.95. If you are just looking to celebrate at the bar we also have an Open Bar Package for $49.95! Tax & Gratuity is added to both packages and run from 7PM-12AM! Looking forward to starting 2019 with you!!! 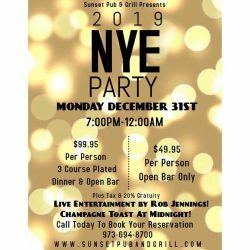 Call and make your reservations today!